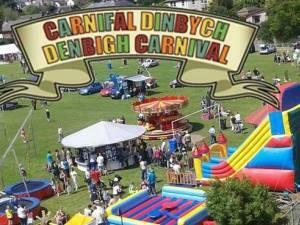 The Denbigh Summer Carnival is an outdoor event for the whole family. Starting at 11am with a procession of floats, Carnival Royalty and performers, the 2019 theme is Land, Sea and Air! The procession leaves from Caledfryn (the Council offices) on Smithfield Road. Denbigh Carnival offers a huge variety of entertainment and activities for all and best of all, it is free entry for everyone! 2018’s Carnival was the sixth since it's resurrection and was the biggest and best yet. The 2019 Denbigh Motor Show will take place alongside the Carnival; free entry for everyone and all categories of cars are welcome. This event grows bigger and bigger every year. It takes place on the fields at Middle Park, adjacent to Denbigh Football club. A55 Junction 27A & A525/A543 to Denbigh.